On Thursday, June 8th 2017, Jefferies Solicitors will be exhibiting at the Kidz to Adultz South at the Rivermead Leisure Complex in Reading. Organised by charity Disabled Living, the exhibition is one of the largest free events in the UK entirely dedicated to children and young adults with disabilities and special needs. There will be more than 120 exhibitors in Reading from a range of different companies, offering advice on funding, mobility, accessible vehicles, communication, education and employment for parents and carers of children and young adults living with a disability. There will also be a comprehensive programme of informative seminars throughout the day, covering a range of topics of interest for families, carers and the professionals who work with them. In March, we attended Kidz to Adultz Middle in Coventry. After dealing with serious injury claims for more than 20 years, at Jefferies, we know that following a serious injury, it’s essential that individuals and their families have access to the right help, information and rehabilitation. Representatives from our serious injury team, including both of our directors, Michael Jefferies and Nina Ramsden, will be attending the exhibition. 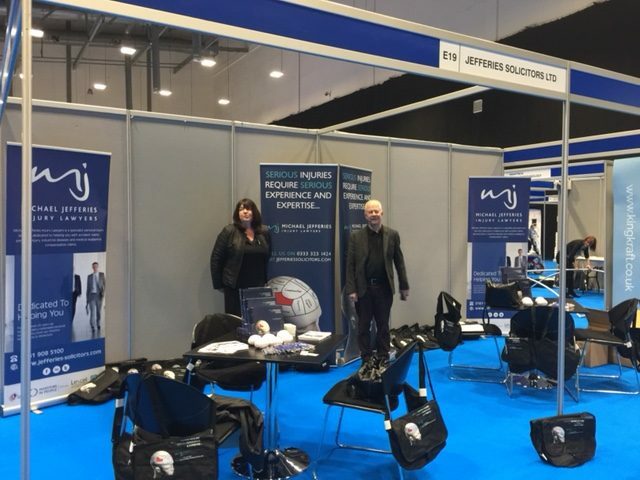 They’ll be at Stand 105B from 9.30am to 4.30pm to answer questions and give advice on issues concerning serious injury support, including compensation and rehabilitation. In November, we will be exhibiting at another Kidz to Adultz event a little closer to our head office, at EventCity in Manchester. If you would like to attend any of the Kidz to Adultz exhibitions, visit http://www.kidzexhibitions.co.uk/ to secure your free tickets. Published on 2nd June 2017.